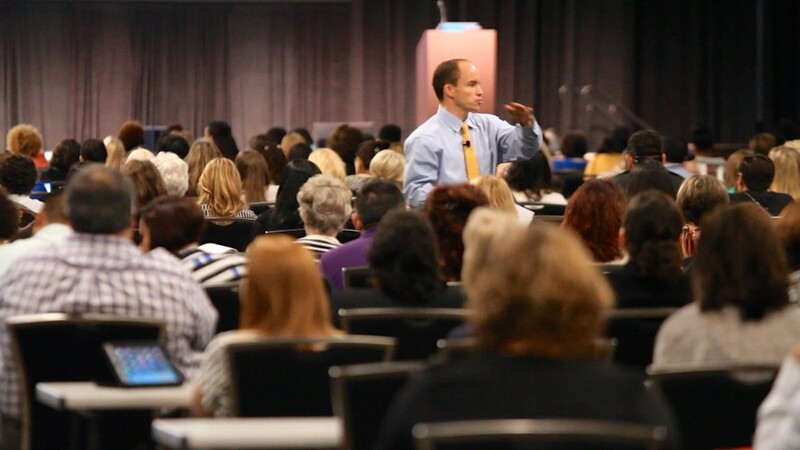 For the past three years, a team of passionate educators have been expertly transforming the face of the former Texas School Improvement Conference into its current incarnation as the Advancing Improvement in Education (AIE) Conference. One of the group’s innovations has been taking its conference program mobile with Guidebook. With the mobile guide, attendees can see sessions, create personalized schedules, interact with venue maps, and receive push notifications directly from organizers. Attendees can even find presentation materials linked right within the app itself. What started out as an extra offering for AIE’s attendees ended up completely replacing the paper program altogether. AIE first offered a mobile guide to its attendees in 2012 alongside its paper guide. Attendees were accustomed to the paper guide, so most continued its use when given the choice. But due to a printing mishap the following year, the AIE team was left offering only the mobile guide – with no real guess as to how their attendees would respond. With the implicit approval of their attendees, the AIE crew decided to take their mobile app to the next level in 2014. They adopted Guidebook as their new mobile event app provider for an upgrade in features and to gain even greater control over the content. The AIE technology team knew that being able to make changes as an administrator was key. 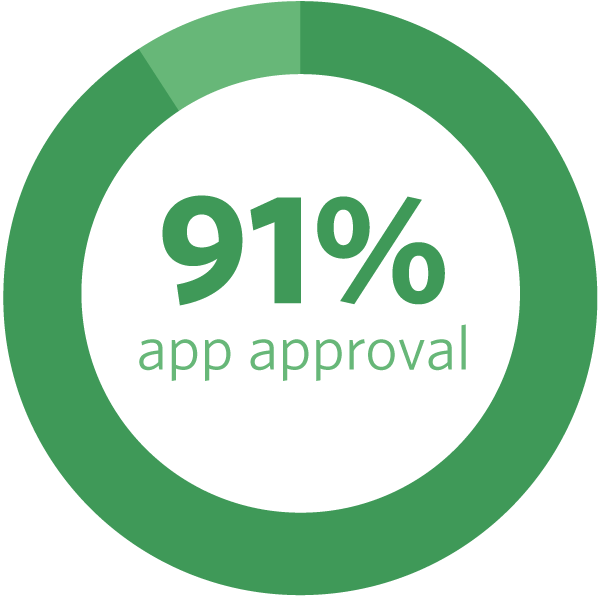 Thanks to AIE’s progressive initiatives, their attendee app approval has rocketed from the 70% range to a hearty 91% of their attendees approving of the app this year. This has exceeded the entire team’s expectations, especially considering they weren’t sure how willing their attendees were to adopt mobile technology in the first place. As the conference grows, they’re able to reduce printing dramatically with each successive year. The team now questions if it’s even worth continuing to develop printed supplemental materials. Considering they used to spend over $20,000 on printing alone, going mobile has been a huge budgetary win. The ROI is more than monetary, now the team is saving time too. 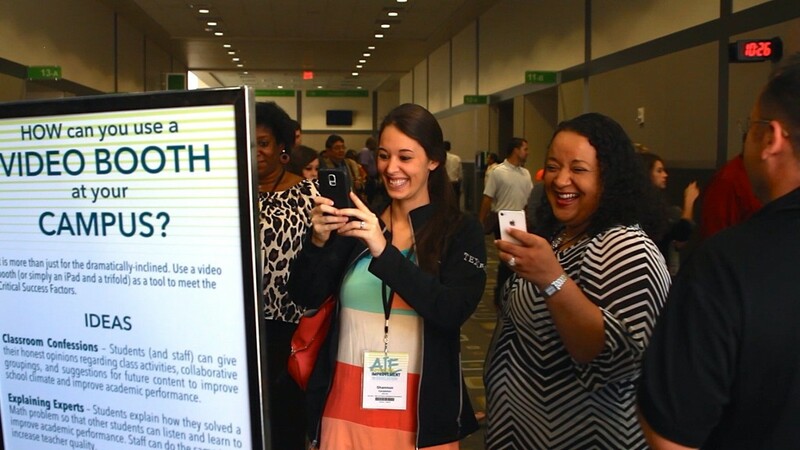 From a technology standpoint, making changes onsite is helping make AIE a better conference. Guidebook has made responding to immediate feedback at the conference very simple. The staff noticed that one of the room names seemed to be confusing attendees, and they were fielding countless questions about the location. The team quickly relabeled the room in the app, and the situation solved itself. This year, AIE had 2,500 attendees. 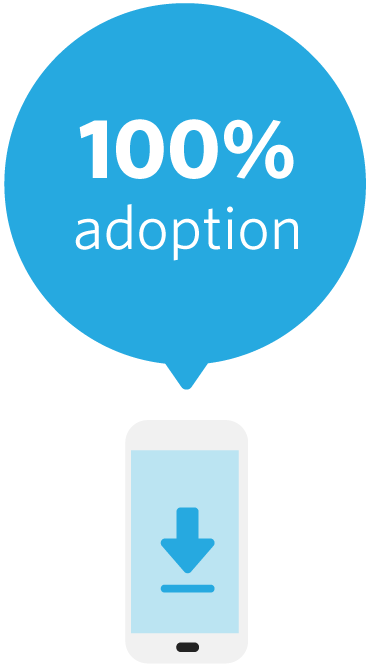 App downloads came in at 2,609, with over 3,000 unique web views of their guide, making for a 100% adoption rate. Not printing a physical guide can certainly lead to exceptional download rates, but adoption was bolstered by excellent promotion on AIE’s part, as well. The pre-event communication plan involved an email campaign that drove significant downloads before the conference. In addition, an informative video detailed how to acquire the guide and some of its benefits. The video was easily accessible via social media and AIE’s website, and left little to the imagination about how to go mobile. At registration, staff members were standing by to assist attendees with loading the mobile guide onto a number of devices. An instance of the chromeless player ready for quick publishing. AIE discovered through their survey that attendees appreciated the guide’s personal organization feature most. The highest rated feature in the guide was the “My Schedule” module, which allows attendees to create individual schedules from a list of sessions. The team is more than happy with AIE’s choice to go with Guidebook. 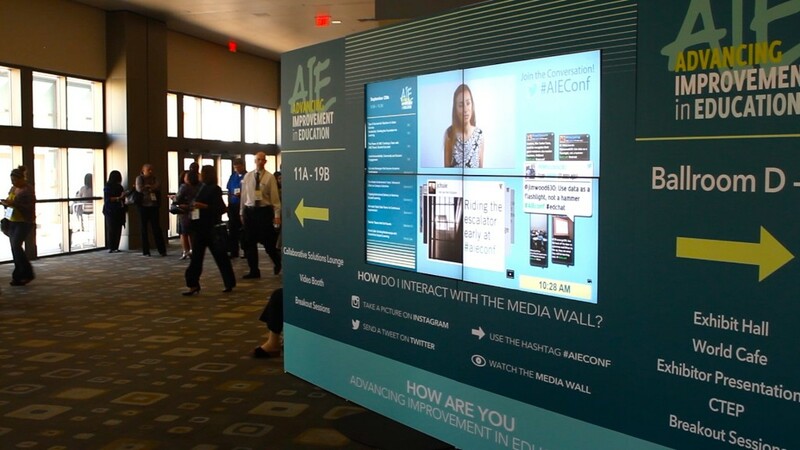 With Guidebook, AIE is able to communicate better with its attendees, place materials at their fingertips, and engage them before the conference ever begins. The enthusiastic, progressive AIE team is truly making a difference in Texas schools by helping teachers and school leaders access transformative resources with a savvy, empowered, and forward-thinking conference. Ready to start building your own Guidebook app and engage your attendees like never before? Click the button below!